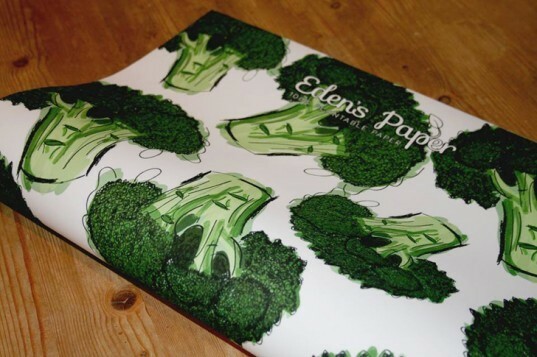 Eden’s Paper lets your loved ones grow their own garden after tearing through the wrapping paper on their holiday gifts. The lush vegetable prints on the paper are embedded with seeds, such as carrots, tomatoes, broccoli, chili or onion. 100 percent plantable, the wrapping paper helps divert landfill waste, while giving recipients an organic surprise with their gifts. Last year, enough wrapping paper was thrown away during the holidays to wrap around the Earth nine times. Eden’s Paper still allows for the anticipation and excitement of tearing through a wrapped gift, but without the unnecessary garbage. Made from 100 percent recycled paper, the remnants from a morning opening holiday gifts can be used to grow next year’s veggies. 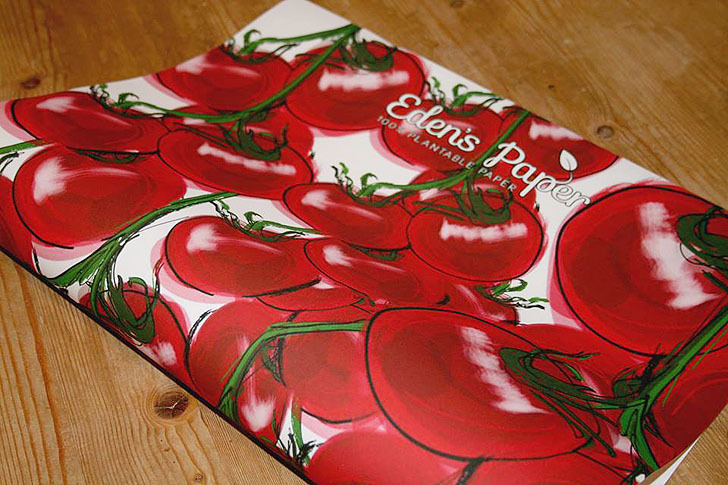 Eden’s Paper is made from seven layers of biodegradable tissue paper held together without glue. The back of the paper is embedded with ready to plant seeds, with corresponding patterns of the veggies they will grow on the front. The patterns are also printed with vegetable-based inks, so no chemicals will be transferred to the soil when planting the seeds. After unwrapping a gift, simply plant the paper into your soil. Because the seeds are sewn into the paper, they ensure planting vegetables in straight lines! Currently, Eden’s Paper offers carrots, tomatoes, broccoli, chili or onion, but they’ve launched a Kickstarter campaign to expand their collection to include fragrant flowers and edible herbs.